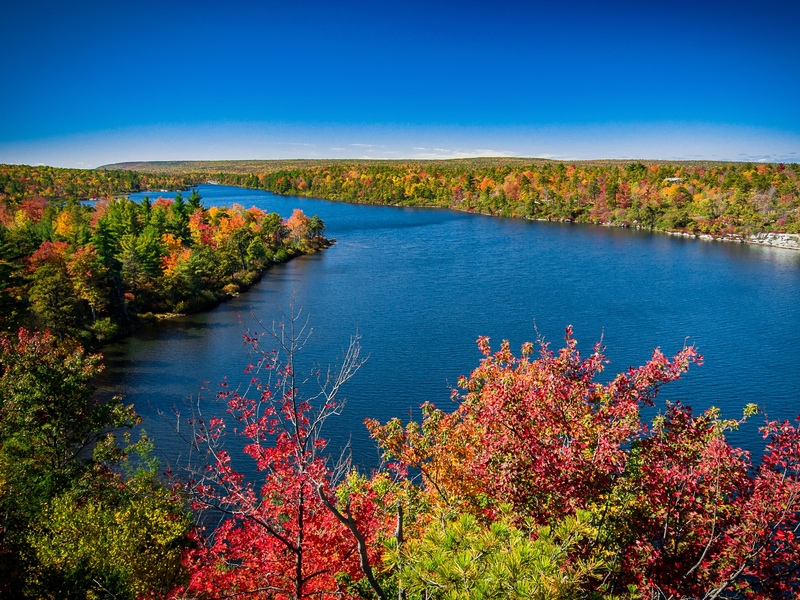 The Trail Conference is committed to publishing accurate trail maps and guides, building and maintaining a comprehensive trail network, and supporting advocacy, conservation, and stewardship throughout the region. Since the original publication of The New York Walk Book in 1923, the Trail Conference has provided trail users with the most accurate, up-to-date information on local trails. 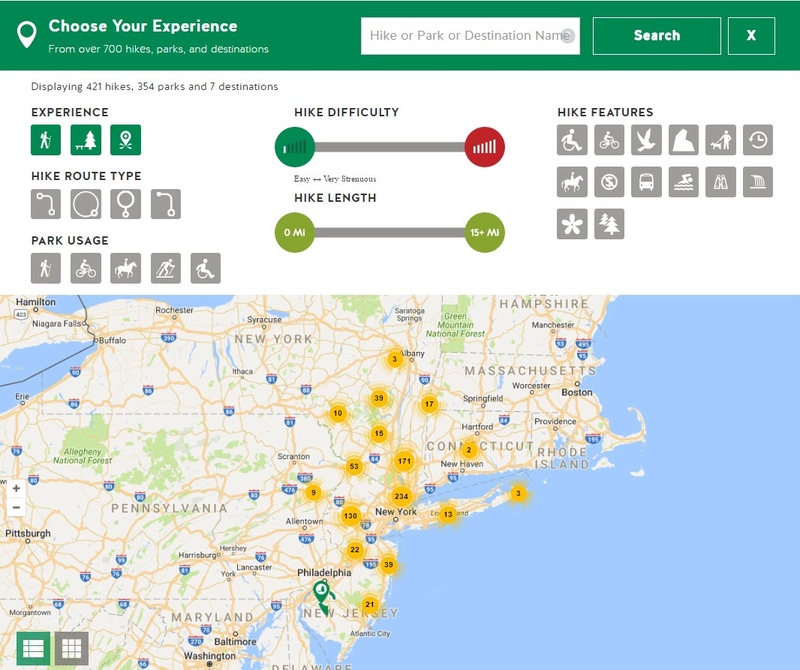 When you decide to get outdoors, we provide the information you need to choose your experience and successfully navigate your way there and back. Our trusted trip-planning and wayfinding expertise is a service that we offer through maps, guidebooks, Trail Walker newsletter, and our website. Trails are an invitation to adventure. They are a way for us to interact with and appreciate nature while preserving its beauty and minimizing our impact. Modern recreational trails are carefully planned routes that consider the terrain and their users. Trails are designed, built, and maintained as joint projects between park managers, trail professionals, and trail volunteers. 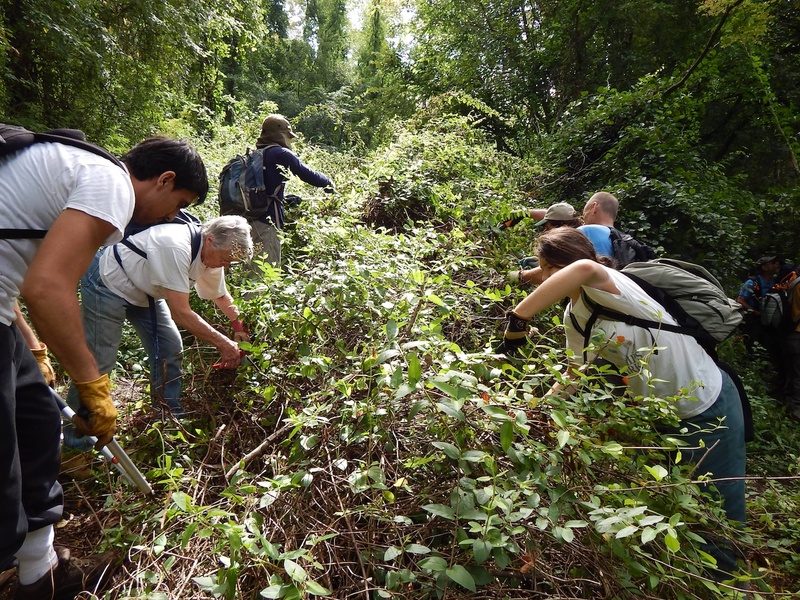 The Invasives Strike Force program works to preserve biodiversity in our natural environments by monitoring the presence of invasive species in our public lands, especially along hiking trails, and planning and implementing programs to control the spread of invasive species into our natural areas. The Trail Conference also leads the Lower Hudson Partnership for Regional Invasive Species Management (PRISM) that coordinates regional invasive species efforts. The Trail Conference has a strong tradition of grassroots organizing and advocating for the protection of trails, playing an instrumental role in most major open-space success stories in the region. We take a hands-on approach to conservation, acquiring trail lands while they are still undeveloped and transferring them into public care. We are stewards of these lands, educating people on responsible use, and leading the way in providing a better trail experience for everyone. 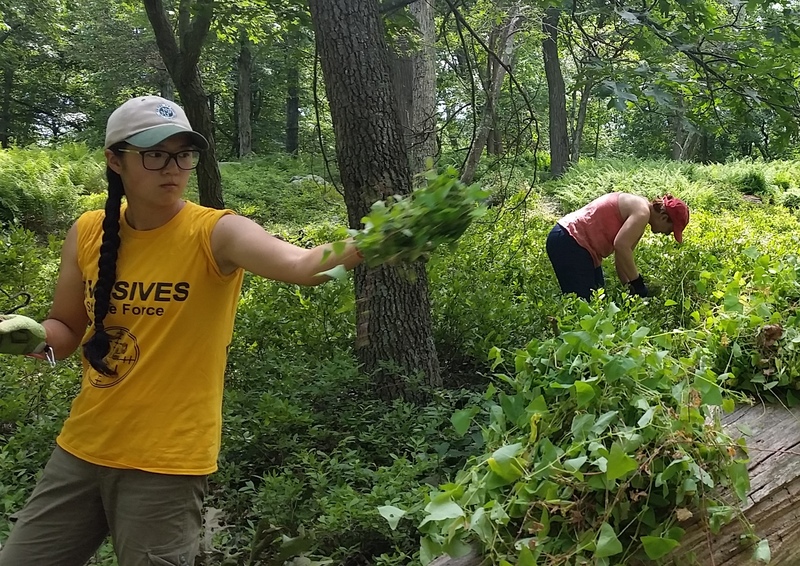 Protecting and improving a large network of trails in the nation’s most densely developed area requires carefully integrated programs and initiatives. 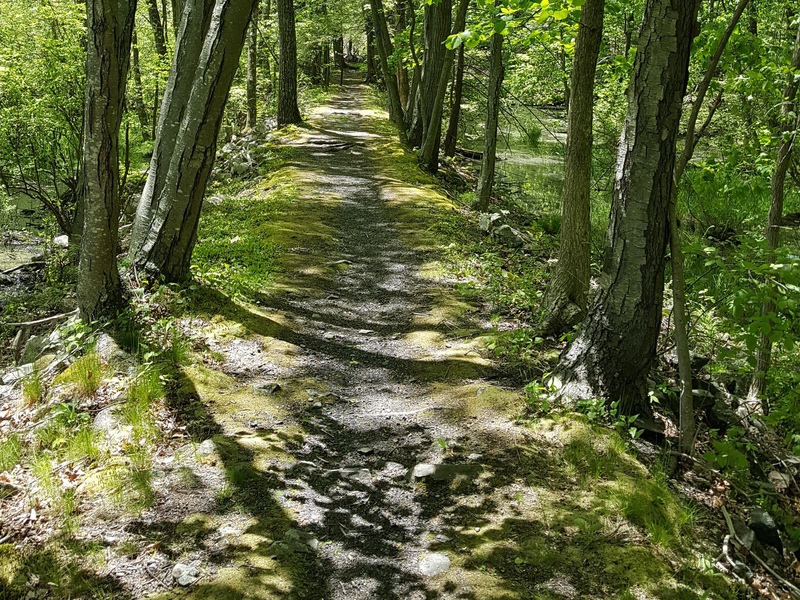 Our four regional trails programs—the Catskills, Hudson Valley West, Hudson Valley East, and New Jersey—allow us to resourcefully serve more than 100 park units across 22 counties throughout the greater New York metropolitan area. There's a good chance you'll encounter a Trail Conference volunteer who adopted a trail to do the on-the-ground work to ensure it remains open and safe for fellow users. Don't worry, we'll make sure you have everything you need to get involved. Our Trails U workshops are a great way to learn about greenspace preservation and figure out where you'd like to be involved. We have a complete roster of workshops that you can join! 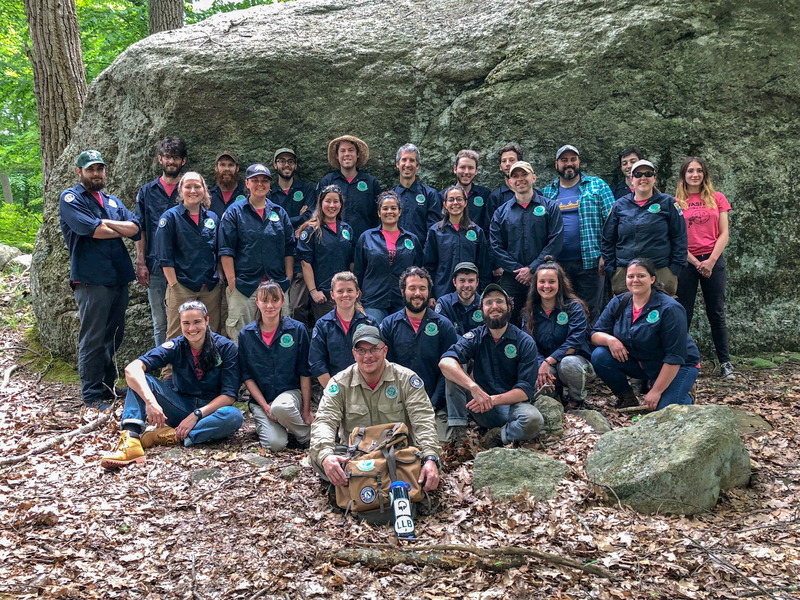 The Trails Conference has many volunteer crews who are planning work trips across New York and New Jersey. You can find one of these trips in your area and join them! Don't worry, we'll make sure you have everything you need to get involved.